New call for courses targeting Ministries of Science, Technology and Innovation and related institutes in emerging economies worldwide. Our most recent five-day workshops for policymakers have been held in the Middle East, Sub-Saharan Africa, Latin America and the Caribbean. To arrange a workshop tailored to your region, please contact Ms. Eveline in de Braek: indebraek@merit.unu.edu. 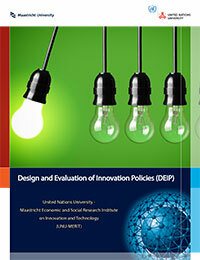 The UNU-MERIT course on the Design and Evaluation of Innovation Policies (DEIP) is an intensive one-week programme for policymakers in science, technology and innovation in developing countries and for participants from the private sector involved in strategic decision-making about technology and innovation.